America runs on dunkin’ right? I mean, now it literally does. 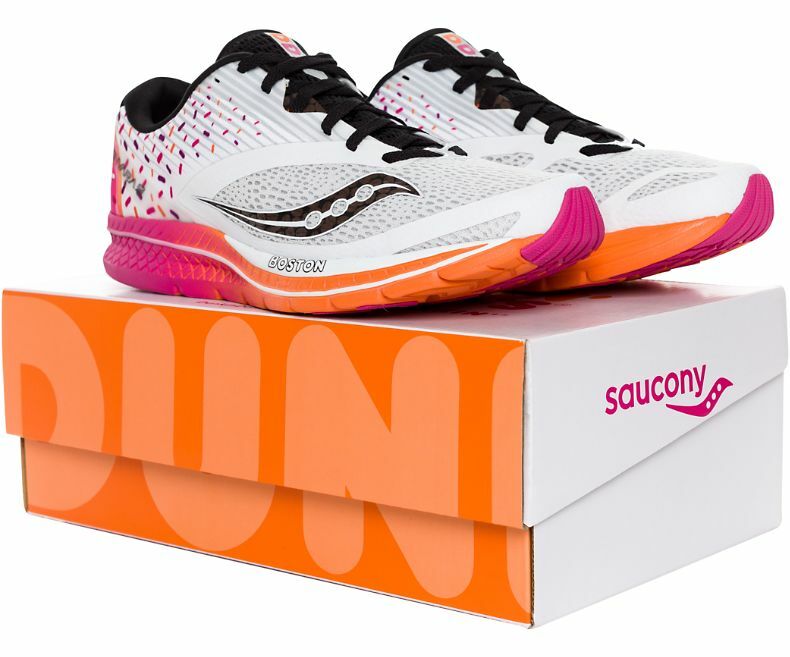 Saucony teamed up with Dunkin’ Donuts to offer this interesting take on their Kinvara 9 trainers. These kicks feature a donut on the heel cup with sprinkles heading toward the toe. The colorway incorporates Dunkin’ Donuts logo colors against a white upper. The sole is made of Saucony’s EVERUN material. Bonded TPU… you know, like Puma’s NRGY and most famously, Adidas BOOST. A limited edition box looks just like the box your donuts come in. I mean, that’s a nice touch. Shop The Saucony X Dunkin’ Kinvara 9 | Available For Pre-Order Now! Free Express Shipping & Returns on All Orders.